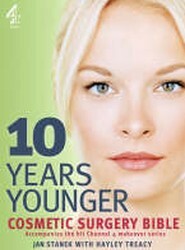 "10 Years Younger", launched in April 2004, was the first lifestyle series on British television to feature cosmetic surgery. Since then, increased acceptability, availability and affordability have prompted a rise in the number of cosmetic procedures carried out each year in the UK. This book discusses the various aspects of each process.